Deep in the roots of our national conscience is the intuition that every person is created equal and endowed with certain unalienable rights. However diverse our individual beliefs, and however differently we might word it, this fundamental conviction remains. Today, we are increasingly aware that there is much to be done to make this truth a reality, and that each person, working together with others, is the key to progress. To that end, Connolly Gallagher has promoted a broad array of initiatives to promote social justice, diversity, and inclusion. Since the founding of our firm in 2012, we have sponsored a “Connolly Gallagher Day” on which attorneys and staff work together on service projects and share fellowship. We have supported our colleagues in helping our community in the ways that inspire them, and many of us contribute considerable time, talent, and treasure to a wide variety of good works. Through our Diversity and Inclusion Committee, we are committed to developing an even broader range of opportunities for service, mentorship, sponsorship, and education to promote diversity and inclusion within our firm and the larger community. The firm’s Diversity & Inclusion Committee hosted a Women’s History Month celebration. 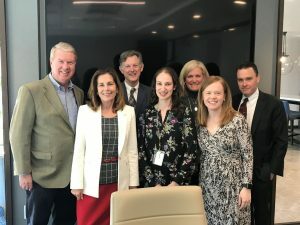 Attorney General for the State of Delaware, Kathy Jennings, joined the firm for an informal lunch program where she spoke about her upbringing, her career choice and her absolute passion for her role as attorney general. Ms. Jennings reminded the Connolly Gallagher audience about the importance of being ourselves. The firm’s Diversity & Inclusion Committee hosted a Black History Month celebration. Connolly Gallagher partner, N. Christopher Griffiths welcomed his accomplished sister, Rachel Eliza Griffiths to perform a poetry reading. Rachel’s most recent collection of poetry is Lighting the Shadow (Four Way Books 2015) and her works have appeared widely, including The New Yorker, Virginia Quarterly Review, American Poetry Review and Buzzfeed to name a few. 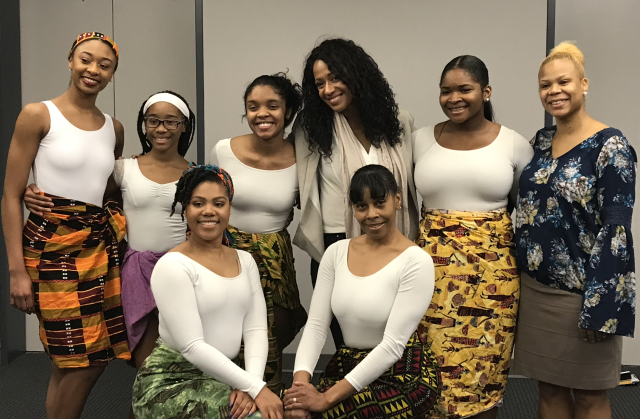 Also, the Christina Cultural Arts Center African Dance Ensemble performed and provided the audience with a wonderful display of talent and culture. On an annual basis, the CCAC provides more than 2000 Delaware students access to the school of arts. The firm’s Diversity & Inclusion Committee hosted a “dress for success” clothing drive in order to support: West End Neighborhood House, United Way of Delaware, and Sunday Breakfast Mission–all Delaware-based non-profit organizations that assist adults in our community re-enter the workforce. 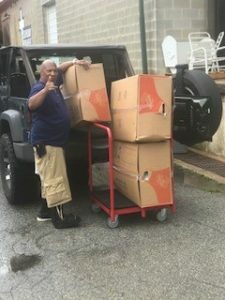 Below is a picture of the delivery made to Sunday Breakfast Mission.